UP Chief Minister Yogi Adityanath also welcomed the Centre’s write petition saying, “We welcome the move by the Centre. We have been saying that we should get permission to use the undisputed land." 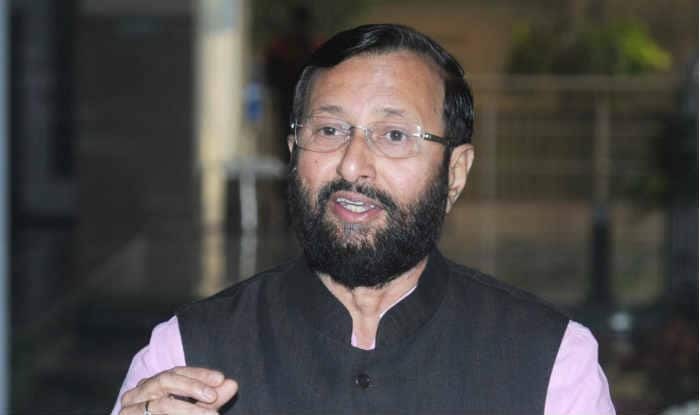 New Delhi: The Bharatiya Janata Party has always maintained Ram Mandir be built in Ayodhya but Congress party has blocked the process, asserted Union Minister Prakash Javadekar, hours after the Centre filed a petition in the Supreme Court seeking permission to return all excess land at the disputed site. “Whatever legal measure is required, BJP will try for that. PM Modi had clarified that people want temple but matter is sub-judice and measures will be taken accordingly. Today’s application is also a legal decision,” said Javadekar, while addressing a press conference. This is not the first time BJP had accused Congress of blocking the construction of Ram Mandir. Earlier this year, Amit Shah, while speaking at the at the party’s national convention had accused the grand old party of of putting “hurdles” in the resolution of decade old issue. “The Bharatiya Janata Party wants the Ram temple constructed at the earliest at the same site. Let there be no doubt. party is making all efforts to ensure that the matter is resolved in the Supreme Court as soon as possible. But it is the Congress party, which is creating hurdles.” He had also asked Congress Party to make its stand clear on the matter. Earlier in the day, the Union government filed an interlocutory application in Supreme Court seeking modification of its 2003 verdict to restore the surplus land, which is not part of the dispute, to the trust (which was formed to promote and oversee the construction of Ram Mandir). The government’s move comes two days after the Supreme Court postponed the hearing in the Ayodhya title suit case, scheduled on January 29, due to the unavailability of one of the judges, Justice SA Bobde.